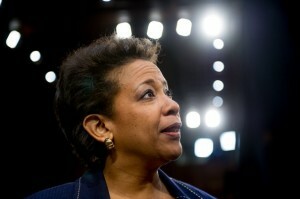 Loretta E. Lynch’s long wait to become U.S. attorney general ended Thursday, with the Senate voting to confirm the veteran New York prosecutor’s nomination five months after President Obama submitted it to Congress. Ten Republicans joined the Senate’s 44 Democrats and two independents in supporting Lynch’s confirmation, a margin slightly wider than expected ahead of the vote. But getting the Senate to this point has been a slow and rancorous affair, one Obama deemed “embarrassing” last week.